Colombo, Sri Lanka, 16th July 2018: In a landmark event, marking Policy Makers Day of National Early Childhood Care Week 2018, Building Brains, Building Futures, The Sri Lanka Early Childhood Development (ECD) High-Level Meeting presented early childhood-centric budget proposals to the Hon. 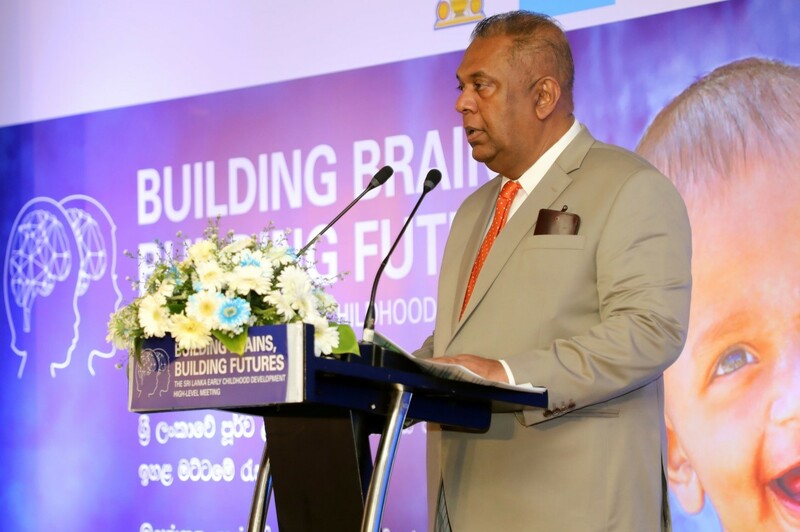 Mangala Samaraweera, Minister of Finance and Mass Media for his consideration in the 2019 National Budget. The event was attended by Prof. Edward Melhuish – Professor of Human Development, University of Oxford and Ms. Jean Gough – UNICEF Regional Director for South Asia among other parliamentarians, ministry officials and members of the diplomatic corp.